I Started with some rocks I bought, I’d love to send you a link to the brand, but I totally forgot where I got these. It was most likely in a drunken terrain purchasing stupor. 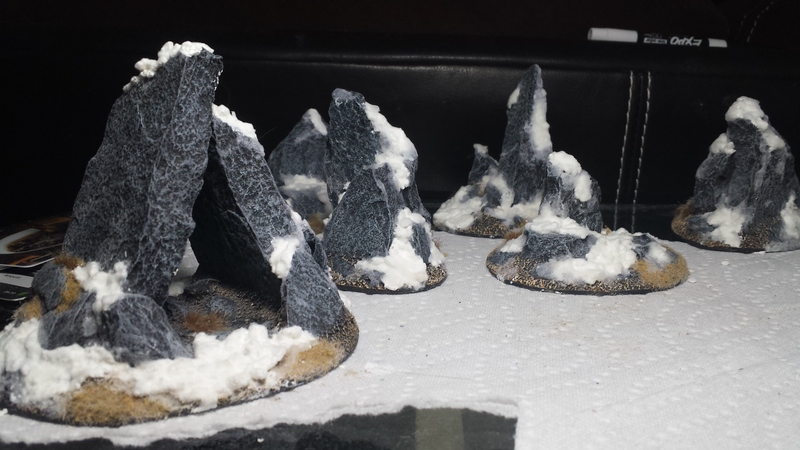 I just black out and buy so much terrain…it’s a problem but no one has confronted me about it. 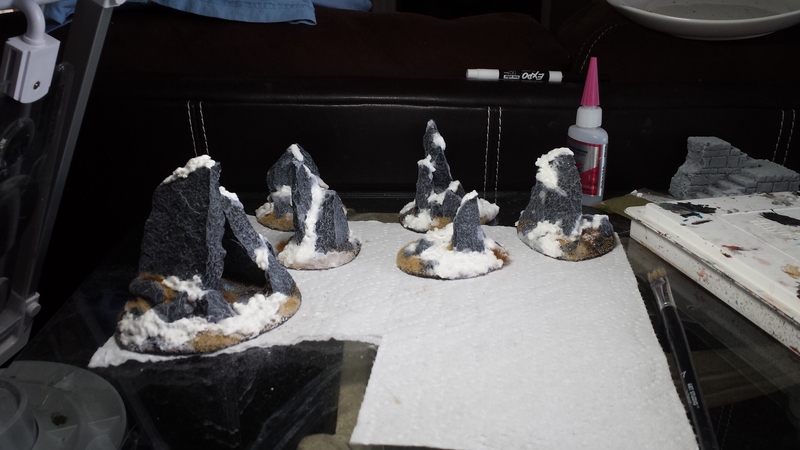 The rocks came pre painted which is always nice, but not necessary. It still saved some time. 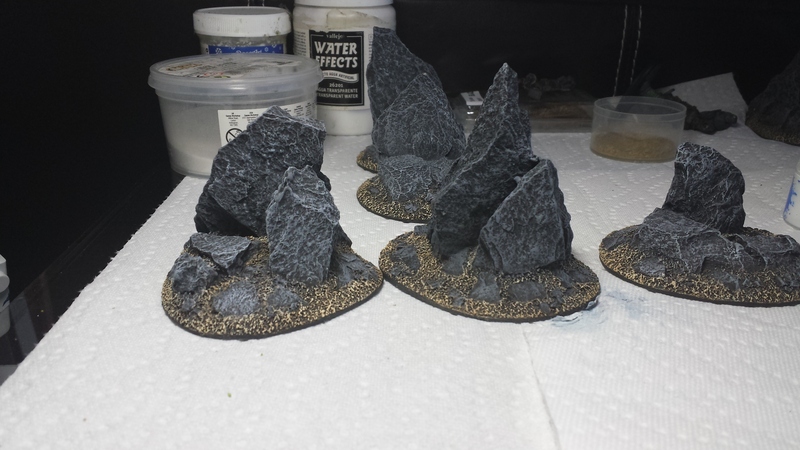 All I decided to do was dry brush the rocks and rubble to make them pop. 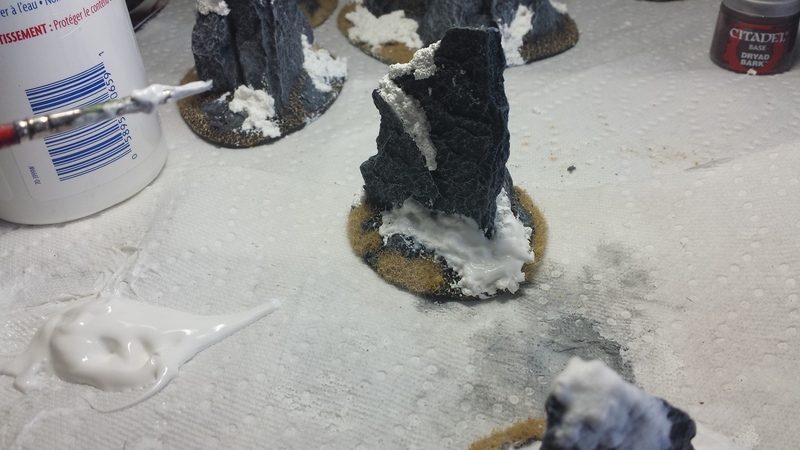 I used Citadel “Fenrisian Grey” mixed with ‘White Scar’ for the rocks and “Karak Stone/White” for the rubble. The one in the middle isn’t dry brushed, but all the others are. The difference is very subtle, but looks better none the less…because I say so! 2. A wee bit of flocking. I didn’t feel like covering the entire bases with snow. I wanted some rubble and brown grass to be poking through. It adds to the wet snow look when some grass is showing. 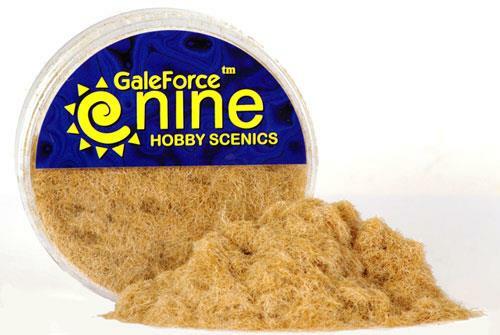 I used a mixture of two GaleForce Nine products. Picture is below. Not reinventing wheel, just some white glue randomly placed on all the bases and a sprinkling of the two grass type. Exciting stuff guys. This is how they turned out. Spoilers!! This picture contains the snow effects I will be talking about …..right….now. I used this weird concoction called Snow Tex. Stand alone it resembles the look of concrete once it drys. I personally don’t use it by itself. I always complement it with another layer of snow effects. I’ll get to that soon though..I promise, I know you’re antsy. It came with no snowman. 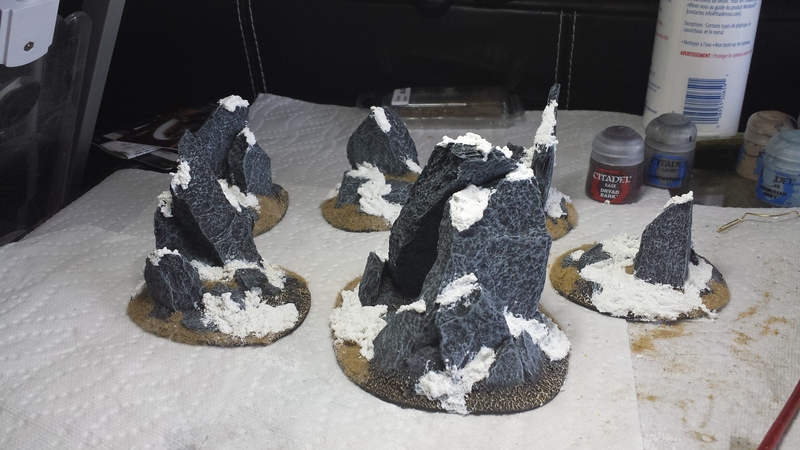 I took a brush and applied the snow tex throughout the bases and on the rocks where I wanted snow. I tried to put the snow in areas that ‘made sense’. Spots where snow may clump. Few minutes later and they’re nice and dry like the pictures above. This will add some texture once the final layer is applied. 4. White stuff on top of more white stuff. Okay, now for the final layer of snow. I got this wonderfully fluffy stuff that I was probably over charged for. Citadel snow effect. Its so soft, so fluffy I just wanna sleep in it. 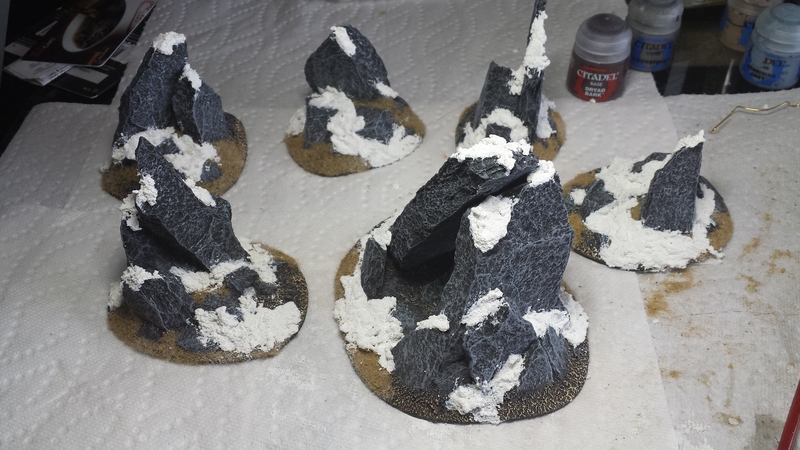 I took some white glue and spread it over the Snow Tex and then liberally applied the snow effect all over the bases and rocks. This can get messy, Im still finding snow in weird places…….very…….weird places. Before it dry’s…..here comes the fluff……. 5.Bonus step- Add Bushes and Tall grass. I added some dry bushes by “Army Painter” I went with ‘Highland Turf”. 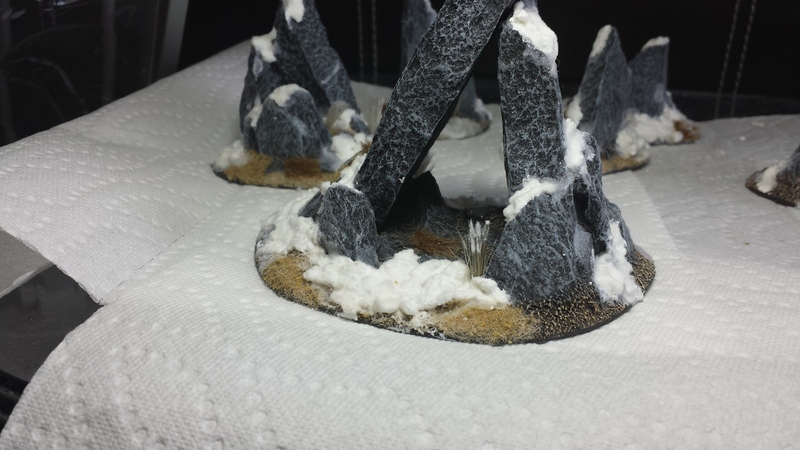 After I glued the bushes and tall grass to the bases I applied some white glue to the foliage and sprinkled some snow on them too. Now everything has snow on it…just in time for spring. Before I added snow to the tall grass. You guessed it, this is after I added snow to the tall grass. Looks more authentic. Hope you enjoyed. If it didn’t turn out the way you wanted I offer no refunds. 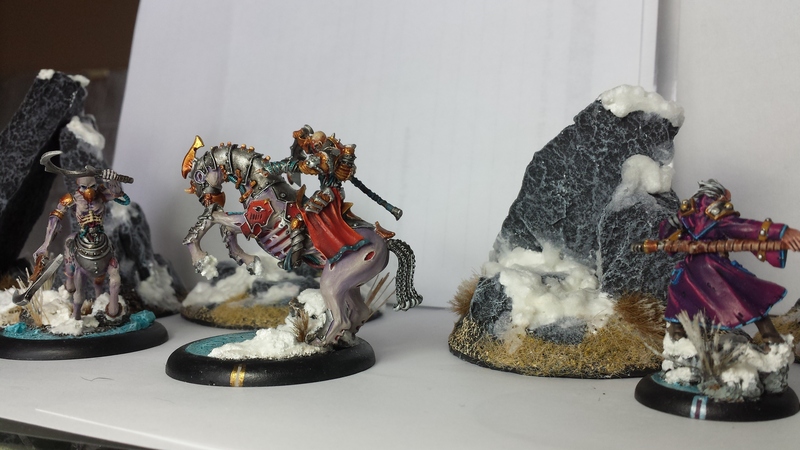 This entry was posted in Modeling and Terrain, Painting Table and tagged bases, basing, Hordes, IABN, ice, Snow, SnowFX, WarMachine, Winter by Kool Aid On Mars. Bookmark the permalink. Great writing. 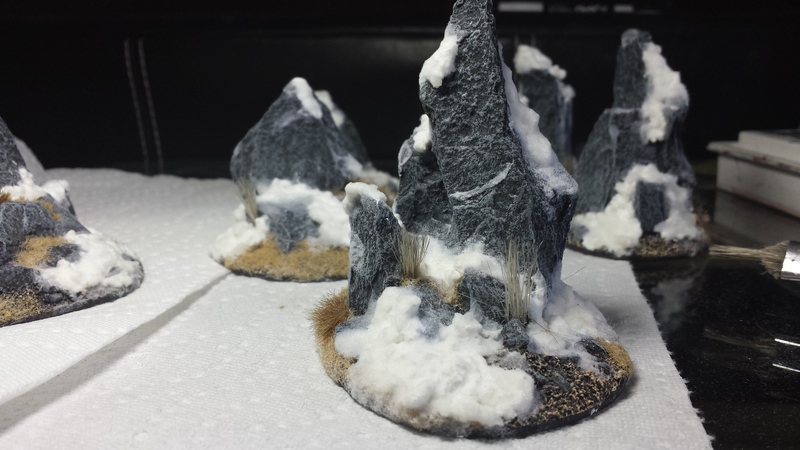 It kept me intrigued the whole time, always wanting to know what happened next… and we are talking about terrain here 🙂 I really enjoyed this post and I’m looking forward to the next one. Thanks, Im glad enjoyed. I thought the protagonist (the snow) lacked depth at first, but I was able to flesh it out towards he end. hah. 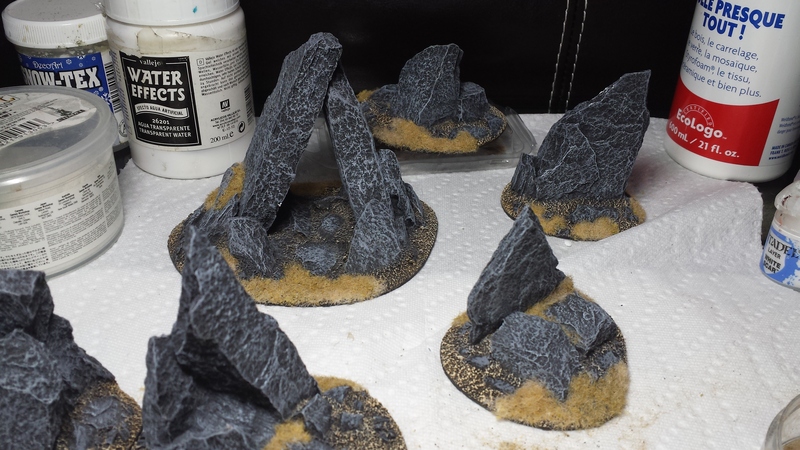 Anyways, I’ve been fiddling around with some Egyptian style sandstone-ish terrain. I’ll do another write up soon. Really, Adam? The snow “lacked depth”?